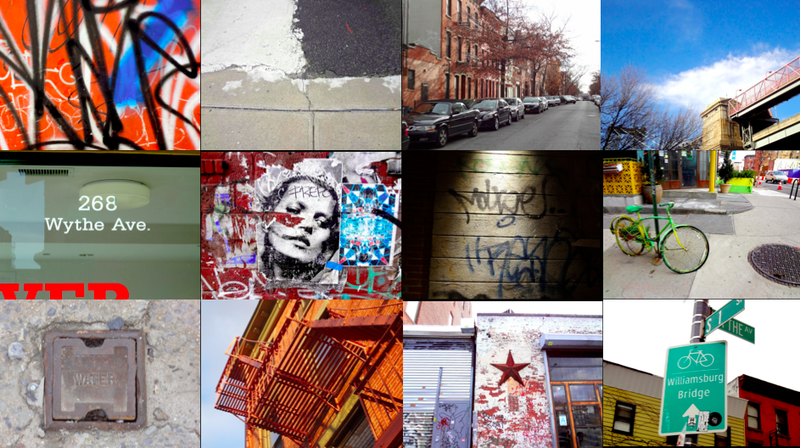 100 Ways to See… A Street is an experiment in visual art / street photography and urbanism. Over the course of 2012, I will attempt to “see” the street I live on in 100 different ways, capturing a rich visual record of the street with my camera, while also trying other non-visual methods of “seeing” the street. The aim is to play with alternative ways of mapping urban complexity, and to demonstrate that even in the most mundane and everyday of phenomenon – the street where one lives – there is much that is profound, beautiful and serendipitous. The setting for now is 15 blocks along Wythe Ave, a rather nondescript street in Williamsburg, Brooklyn, New York City, though that may change should I move to another city in the course of the year. Please follow my journey at http://www.100waystosee.com, or click on the link in the sidebar.